The times were so different then. “Snoots” and “Split tails” were two of the common and acceptable terms for female pilots when I cut my teeth in Navy air. My personal favorite was “Empty Kitchen”. My old Chief actually got a nametag for my flight suit “LCDR M.T. Kitchen”. Loved that guy. I would have taken a bullet for him and I think the feeling was mutual. Coming of age in military aviation then meant that you had to get used to the name-calling, some of it good natured and some of it not. It was in fact, something of a test of your willingness to be part of the ethos of Navy Air. Did you have a sense of humor that bordered on the bawdy or crude, could you take some personal harassment and still function or were you a crybaby? The eternal question was posed daily by a critical crew – Did you have the right stuff? If you were female back in the day, the question took on more than the usual interest. And yes, this got carried away some times with spectacularly disastrous results, but to focus endlessly on that misses the point. Every young pilot got a share of harassment. It was and is a part of the culture, and there are some important lessons here about the willingness to persevere. To suggest that any one group or individual got a pass on that rite of passage is simply not true in my experience. But the culture has changed. We are smarter now about how to get peak performance out of people and how to sensibly test their mettle without destroying their soul. I vigorously defend about 95% of the training methodologies used in my three decades of military service and feel grateful to be able to apply them in my civilian life after the Nav. At least I thought so. In my next act in corporate life, I was mentoring young women and had one of them flatly tell me “You are not a woman, Karen, you are a proto-woman”. Yikes. Were my experiences so removed from today’s world? Had the times changed so fast I was actually viewed as a cavewoman? I think not. As I now speak, train and work with the next generation of young leaders, I see some things change but much remains the same. The world still belongs to those who show up and view themselves as changers, not victims. The fundamentals of leadership and effectiveness are timeless. Display some energy, don’t obsess about what you can’t change, obsess about what you can. Give back in double measure to the world and watch the mysterious alchemy of life investment do some magic. Believe you make a difference and you will…you just may never see it. And lastly, choose your company carefully. I am happy to be packed up with a bunch of other “snoots”, “split tails” and “empty kitchens” and we are rocking it. Women Vets Speak, the first ever female veterans speakers bureau, is having its big kick off this week and I want to share this news and ask for your widest dissemination. The female veterans in this group are nothing short of national treasure, old Battleaxes and fresh young warriors, and they have messages as diverse as the women themselves. 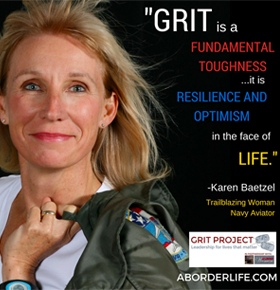 These bossy pants know about leading, they know about grit, and they leaned in before any of this was trendy. If your organization needs an infusion of American strength – speaking, training, consulting or coaching- look here. Don’t bother looking in the kitchen, it’s probably empty.